The AEON line first launched with the closed back version last year has fast become a bit of a darling for its excellent price to performance ratio. 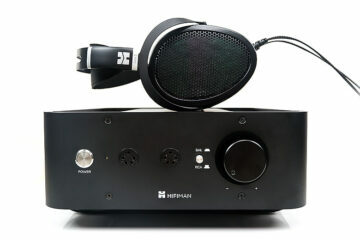 This was a uniquely designed, lightweight planar headphones with technology previously found in their flagship Ether line but at half the price. Thus, it was no surprise to me that Dan and the team decided to make an open-backed version of this headphone, called the AEON Flow (Open). It carries the same price of $799 but brings with it a slightly different tonality due to its open back nature. I am also delighted Dan has continued to focus on the AEON line. 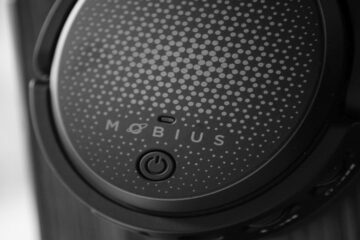 Not simply because we really enjoyed the closed back, (Headfonics 2017 Closed back headphone award winner) but also, in general, it is another headphone launched at a reasonable price. A price that is not beyond the reach of the vast majority of headphone consumers. That can only be a good thing for the market in general. The pitch is much the same as the closed version except, well, that it is an open back. That means you get the same flagship technology stuffed into a competitively priced headphone such as V-Planar and TrueFlow technology. You also get the same new single sided planar magnet driver from the AEON closed. 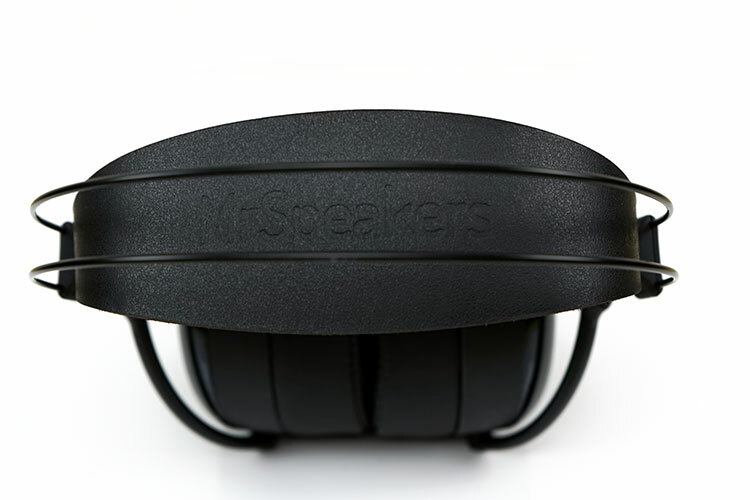 So positive is MrSpeakers on this new design they have chucked in an excellent 2-year warranty for peace of mind. And it is not just a shrunken down Ether either. It has a new and dare I say more modern design, certainly a little more compact and at just 13 ohms perhaps one of the least demanding planar headsets out there right now. DAP uses takes note. The open design though is pitched for fans of open back planars and desktop users. The rated efficiency is geared to those with amplification to get the best out of it though it will not collapse like a deck of cards on smaller scale sources. Apart from the new open grill design the form factor of the open mirrors that of the closed. The open grills are lighter with less covering materials so the AEON Flow comes in a shade lighter than the closed version at 321g compared to 340g. For a planar that is a pretty light and a dead heat weight wise between it and the smaller PM-3 from Oppo. For a larger circumaural headphone that is some going. The teardrop contoured cups with the lightweight honeycomb grid paneling is very eye-catching. Dan has explained that the hex design of the honeycomb is quite unique with an asymmetric design rather than any stock hex shape. They felt the pattern would be more attractive as a result and I could not agree more. Perhaps even more attractive than the AEON Closed. To the bottom, you have the AEON moniker which in hindsight I would have loved to have seen on the closed version. The elongated cup and pad design is still a great fit and generally a fantastic circumaural design. 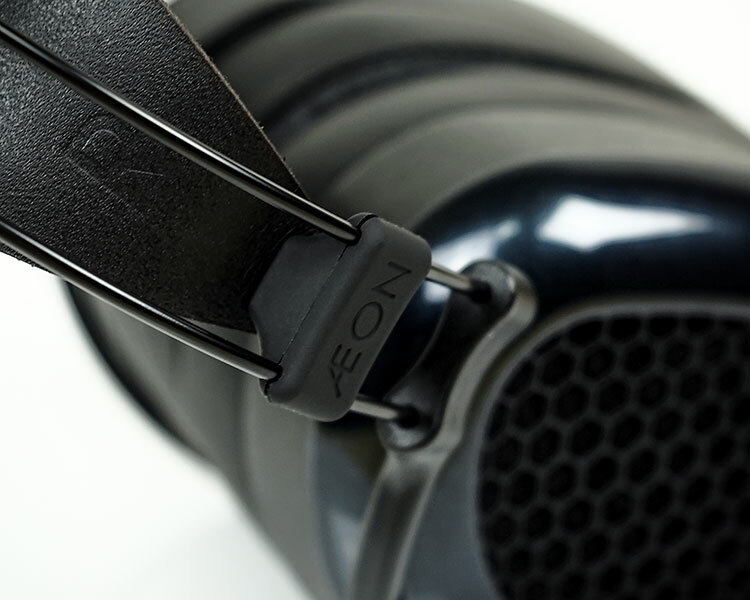 It may initially look like a portable headphone but side by side the AEON is much taller than the Ether series and the fit is much more natural. I do not think there is a lighter circumaural planar design on the market as of today. MrSpeakers has retained the NiTinol headband design of the closed version which makes the form factor all cup and not much else from certain angles. The NiTinol “memory metal” design carries virtually no additional or cumbersome weight. It also spreads the pressure really nicely across the head when in use. The rest of the design is made up of a 3D-printed baffle, pivots, and gimbals. Unlike the Ether design, this is only a half gimbal arch and not a full gimbal double screw. The gimbal is very rigid and as we use the headband for rotation, it makes no difference if there are single or dual support points on the gimbal. The fit will be the same but size and weight is reduced. I also like the connector finish on the gimbal with clean curves and less exposed screws at the connection points. The AEON Flow uses the same 6-foot DUMMER (Distinctly Un-Magical) cable as its closed sibling. This cable is slightly different to the original DUM cable on the flagship Ether series. Some things though are consistent with this cable such as the same Hirose dual-entry connector system, 1/4″ and 3.5mm dual-tip, and fabric jacket. It does indeed look very similar to the higher priced DUM cable. The DUMMER is fixed in length meaning you cannot customize this cable like you can with the Ether Dum cable at the checkout. You can, however, choose a quarter jack or an XLR finish at check-out. This is not a handmade cable like the DUM hence you cannot customize to the same extent. Both cables are copper designs with similar construction. However, there is a slight difference in staging and resolving capabilities with the DUM over the DUMMER. 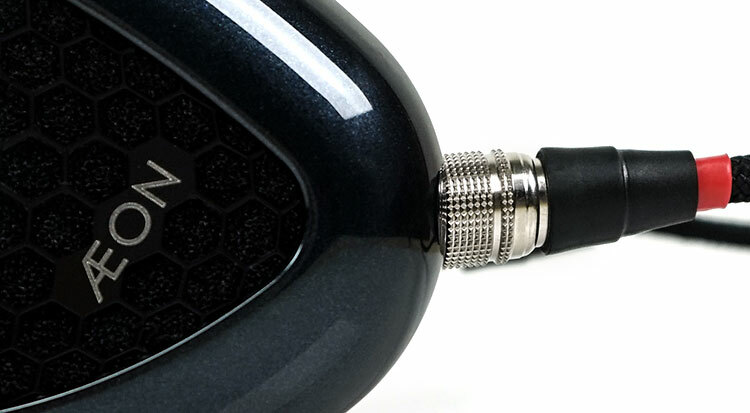 MrSpeakers emphasizes that this only starts to appear once you start connecting the AEON Flow to some seriously high-end amps. Of course, you can order a DUM cable balanced if you prefer as an optional upgrade for $199.99. No change from the AEON Closed and that is a good thing. MrSpeakers has taken that comfy headband strap they used in the Ether series and placed it under the NiTinol frame for comfort and balance and added adjusters on either side for fitting purposes. These adjusters operate within about 2 inches of space so it should cope with most head sizes. The tensioner joint that holds the strap and NiTinol bands retains the FLOW moniker as per the AEON closed. Both straps on the AEON closed and Flow Open are a little thicker than either my Ether O or my Ether C Flow. The leather strap is the same geometry as the Ether range but instead of a 3-layer laminate and Italian NAPA leather, it is a single piece of USA made VAT dyed leather. This is a slightly stronger design in my opinion. Due to its open honeycomb grill design, the AEON Flow will isolate less than the Closed version. However, if you look closely at the two the protein leather earpads on the open version are slightly deeper than before. I am told though that the closed version now sports the same earpads though the initial run and the one I have are marginally shorter. I presume just to give a little more distance between ear and driver and increase the seal and comfort levels that bit more. The reduced weight combined with the elongated teardrop circumaural design and NiTinol/leather headband design is almost perfect for day and daily prolonged use. The headband is adjustable and the strap has some pliancy in it making this a very flexible and lightweight design. It is still the comfiest planar I have ever worn by a clear margin. The additional thickness of the pads and the reduced 20g weight combined with the open design does it present a different wearing experience compared to the closed version. They do feel marginally lighter, perhaps even slightly steadier on my head but the pressure balance and clamping remain the same. 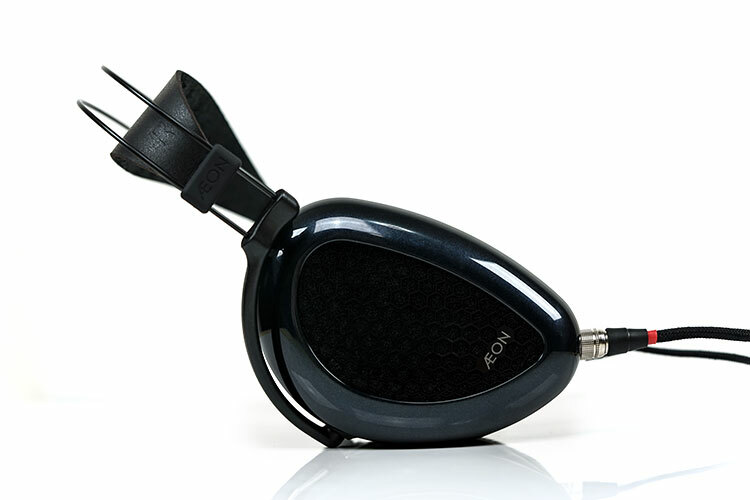 The AEON Flow comes with a similarly styled case packaging to the closed AEON. This is a black zipper hard case, perhaps a bit on the large side to be called portable but certainly small enough to throw into a bag for a long journey. Both it and the Flow have the same carry cases. Inside you get your DUMMER cable with a screw on quarter jack converter in a single plastic bag behind a simple nylon mesh, a set of 3 tuning pads (Dan loves his pads so this is no surprise) and the headphones. There is also a little foam block between the cups to prevent driver impact during shipping which I find quite useful for when moving around in general. 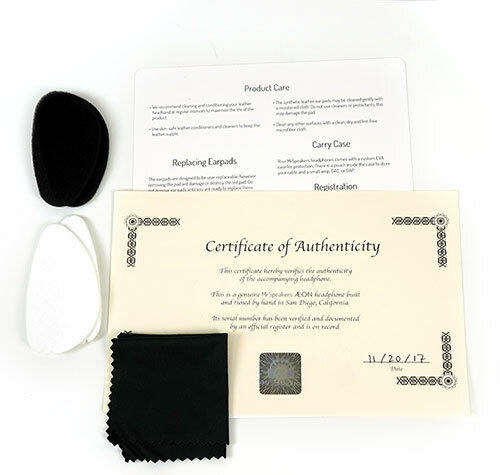 All of this is enclosed in a fairly compact and understated black retail box alongside your certificate of authenticity, a black wiping cloth, and a quick user guide sheet. I think if you like the Vali you might enjoy the AEON Closed though I tend to find the vocals on the closed AEON to be a bit far back. I would recommend you grab an Ether closed flow (or even the open version which is $999 refurbished) for a bigger sound. I already have a Kennerton Vali (coupled with a Chord Mojo) and I absolutely LOVE them (musicality, engagement). However sometime I want to listen to the ´planar’ sound, would you recommend the Aeon compared to the Vali ? Or the Aeon would bring nothing compared to the Vali ? Well, I would start by getting one before making any comments and sadly I do not have one now to reflect on the differences. Hopefully, at some point, I can make some impressions on these two. These are one of my candidates for the next headphone purchase. The described tonality seems to be the one I am looking for.